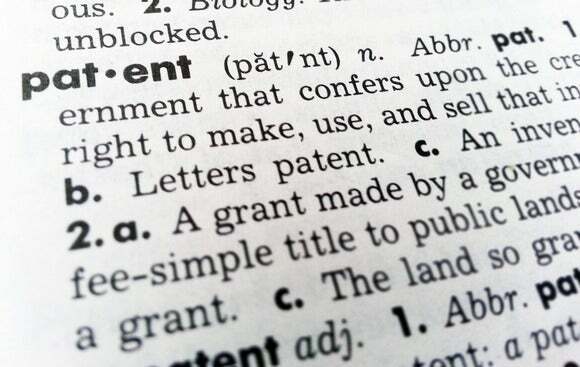 The number of U.S. patents granted declined for the first time since 2007, ending a seven-year run of increases. According to IFI Claims Patent Services, there were 298,407 utility patents granted during the 2015 calendar year. That represents a decrease of almost 1% compared to 2014, when patent grants hit 300,674 and surpassed the 300,000 threshold for the first time. IFI, which specializes in patent analysis, tracks utility patents from the U.S. Patent and Trademark Office (USPTO), and each year it releases its annual ranking of the top 50 recipients. For the 23rd year in a row, IBM topped IFI’s ranking. IBM received 7,355 patents in 2015, which is down slightly from 2014, when IBM was awarded 7,534 utility patents. Ranked second in IFI’s tally, Samsung Electronics received 5,072 patents in 2015, a gain over its 2014 haul. Canon maintained its third-place ranking with 4,134 patents in 2015. Tech companies made a strong showing among the top U.S. patent recipients for 2015, but there was some shuffling of the ranks. Big climbers in IFI’s list include Qualcomm, which moved up three places to land in fourth place with 2,900 patents, and Google, which climbed three places to the fifth slot with 2,835 patents. Microsoft, meanwhile, fell in the rankings to the tenth slot with 1,956 patents. A year ago, Microsoft was ranked fifth with 2,829 patents. One of the reasons for the shifts is due to where patents are being parked. In 2015, three patent power players began to change the way they hold their patents, IFI notes. The majority of Microsoft’s 2015 patents were granted to Microsoft Technology Licensing LLC (1,956), while 465 were granted to Microsoft Corp. Panasonic’s patents were divided among Panasonic Intellectual Property Management Co. Ltd. (1,474), Panasonic Intellectual Property Corp. of America (458), and Panasonic Corp. (300). Google Inc. earned 2,835 patents, while Google Technology Holdings LLC came away with 360 patents. Other companies have spread out their portfolios before -- such as Samsung, HP and AT&T – but it’s becoming more of a trend, according to Larry Cady, a senior analyst at IFI Claims. The trend has become cause for some dissension in the area of patent analysis. In December, a data journalism source called Sqoop published its analysis of patents granted by the USPTO (from the start of 2015 through December 11) and reported that Samsung unseated IBM as the top patent recipient. In Sqoop’s tally, Samsung is ranked first because Sqoop combines patents granted to a parent company and its subsidiaries and affiliate companies; in Samsung’s case, that includes Samsung Fine Chemicals Co. Ltd., Samsung Display Co. Ltd., Samsung Electro-Mechanics Co. Ltd., Samsung Electronics Co. Ltd., Samsung SDI Co. Ltd., Samsung SDS Co. Ltd., and Samsung Techwin Co. Ltd.
Microsoft also ranks higher (coming in tenth place vs. ninth on IFI’s list) on Sqoop’s list, which combines patents received by Microsoft Corporation and Microsoft Technology Licensing LLC. The USPTO – and IFI Claims – treats subsidiaries and related companies as separate entities. Experts note the importance of consistency in any rankings. An effort should be made to make any cultural differences in the way patents or other IP is held by a foreign conglomerate outside the U.S. consistent with the manner in which patents using their IP are held by U.S.-based organizations, Russo adds. “At a minimum, just like what happens when there is a close tie in rankings on things like the [New York Times Best Sellers] book lists, some footnotes should be inserted to explain the differences in the count so that readers understand what are the potential accounting differences,” Russo says. In the bigger picture, the quality of patents being granted is more important than the quantity, Russo notes.